ANZAC Day, Thursday 25 April 2019, marks the 104th anniversary of the landing of ANZAC troops at Gallipoli. beside Twin Towns for the Dawn Service at 6am, the March at 10.30am, and the Main Service at 11am. Although the number of World War II vets is dwindling, participation is growing by Vietnam vets, families of veterans, veterans who served in Afghanistan and East Timor, other conflicts and peacekeeping operations, and those currently serving in our Defence Forces. Be amongst the thousands who gather at Tweed to mark ANZAC Day to ensure the deeds and sacrifices of our diggers are honoured and never forgotten. 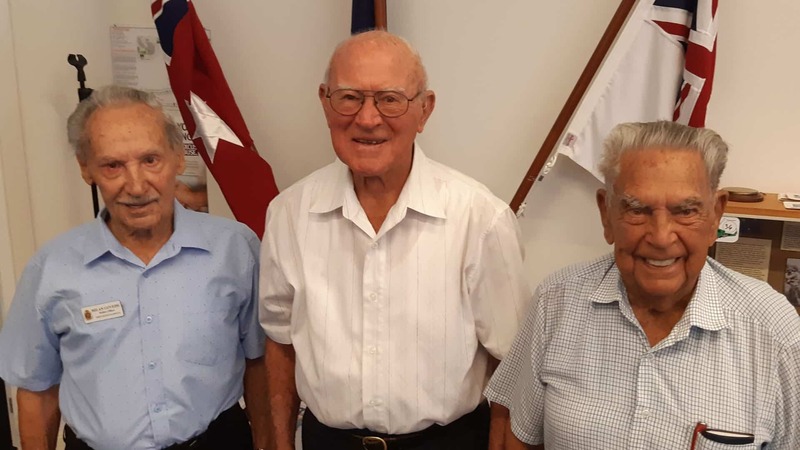 With over 200 years of combined service to Australia and to their community, Milan Govedic, Bob Lominga and Les Taylor have certainly earned their seats in the WWII jeep that will lead this year’s ANZAC Day March. Milan has fundraised for the National Servicemen, Legacy and the Tweed Heads & Coolangatta RSL Sub-Branch since 1998. Serving in the Sydney University Regiment and RA Survey Corps, since arriving here on the Tweed, Milan has raised over $70,000. Bob Lominga enlisted in the 7th Division, serving in Bougainville and Balikpapan. He also served on the RSL Sub-Branch Committee and Executive and is a Life Member of RSL Qld and Twin Towns. He regularly attends RSL Welfare visits to John Flynn Hospital, fundraises for the Cancer Society and visits local primary schools. Les Taylor has served over 60 years of RSL membership, including Executive stints at the Gold Coast District RSL. Enlisting in the Royal Australian Navy in 1945, Les was involved in minesweeping around PNG, the Occupation of Japan and the Korean War. He is also a Life Member of Qld RSL Bowls Association and the National RSL. Give these three remarkable men a cheer when you see them leading the March on 25 April. The jeep is kindly donated, as it is each year, by the Neumanns.